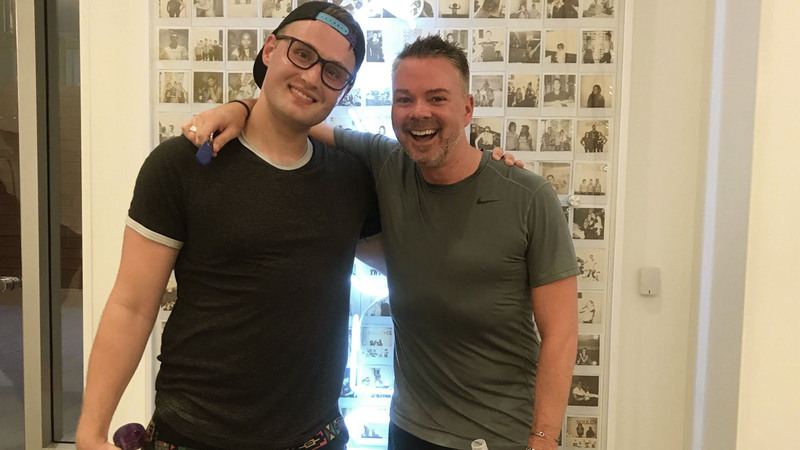 an Francisco rider JAMES HUDSON found SoulCycle after making some serious lifestyle changes. Learn more about his SOUL journey, ahead. Moving to California has been life-changing in a number of important ways, but I think by far the most profound is that it has catalyzed my journey back to fitness and wellness — mind, body, and soul. It wasn’t until I moved to the West Coast that I realized that I had been unhappy living in Brussels, and that it had manifested in bad lifestyle choices: rich foods, too much wine, and a sedentary lifestyle — too many nights under a blanket on the sofa with a book. The minute I moved to California, I felt a lightness about me. I think it’s a combination of the climate, the lifestyle, and the energy here in San Francisco. In my first few weeks, I joined a gym and started the slow journey back to becoming active. I started swimming three times a week as I thought it would be low impact (I hadn’t been inside a gym in years) and then added a couple of short runs a week into my program. I was in New York City for Fourth of July weekend — it was there that I took my first SoulCycle class and everything changed. I could barely make it through my first class, I certainly couldn’t get out of the saddle and couldn’t complete the weights section, but something about the class clicked. When I got back to San Francisco, I booked another two classes. For the rest of July and the early part of August, I was riding the back row two or three times a week. Each class I felt stronger, more able, and more confident. In one of those early classes I wept tears of joy on a hill climb (this is apparently quite normal at SoulCycle) and I knew I had found my new passion. I’m now riding the front row, five or six times a week, I’ve lost ten pounds already, and most crucially, I just feel better all around. I can’t believe that I happily get out of bed at 6AM to be on a bike for the 7AM class. It means I arrive at the office full of energy and positivity and ready to run headlong into my day. My SoulCycle journey is just getting started, but I want to encourage as many people as possible to hop on a bike and find their SOUL!